Infinity Auto Protection is a dynamic company that was formed to lead the way in the automotive finishing industry, and fill the void left by other products that fall short of their promise of protection and longevity! Initially created to be a provider of paint, vinyl and fabric protection, the company evolved to become a deliverable for end to end services and products. Our aim is to serve the dealer networks as well as detailers and other retail outlets reaching new cars and used cars alike. The products and services are world class quality and are currently unmatched in the industry for ease of application, lifespan and cost. What this means for the dealer networks and our affiliates is that they will experience improvements in their bottom line from day one as well as fewer vehicle returns. For our retail chains it means they have a quality product to channel and for our detailers ease of application. The end goal of our corporation is to form relationships and affiliations within the industry that will transform the way vehicles are presented and maintained. To achieve this, we will maintain world class products and services and initiatives that will be strategic in the success of our affiliation network and customers. Certainly not limited to cars, all products within our range can be applied to cars, bikes, boats, caravans and trucks alike. The protective nature of our finishes will withstand the effects of marine elements as m uch as it will road grime and tar. Our existing clients include the airline industry also where the product has provided cost savings by way of reduced costs as well as fuel efficiency. The Infinity Paint Protection product not only delivers the longevity and protection it promises but also delivers as a by product, a mirror finish that provides ultimate clarity of reflection. Our product is 22 century technology, right here right now and is available to you either directly from us, through our dealership network or through our retail points of presence (including this web site). Many of our customers have seen great benefits in having our products applied to their car, boat or plane. Read their testimonials and then try it for yourself. 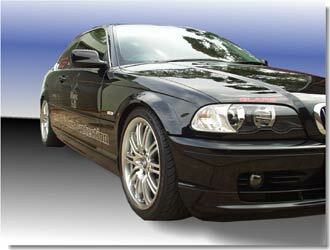 For more details and pictures please visit our new Paint Protection website, www.paintprotectiondirect.com.au. Do you need a product which cleans and shines your car, without needing water? Glare Sahara Waterless Wash & Detail is here to help! Sahara Waterless Wash & Detail is unique – no other liquid glass product on the market may be applied without water, a commodity which is so scarce nowadays. Originally designed for our international customers who live in some of the most arid regions of the globe, Australians too can now take advantage of this outstanding product. This waterless wash formula provides a safe, high quality, non-scratch solution to washing and detailing your vehicle, that is easy to apply and results in rock-hard protection and ultimate shine. It is impervious to harsh contaminants, protects against harmful UV rays and will block out corrosion and oxidation. Glare Sahara not only dissolves away dirt and grime safely, it will infuse the painted surface with molecularly bonding Glassplexin which outshines, out-protects and outperforms any other waterless wash in the world, whether professionally applied or purchased from a retailer. Always insist on your full aftercare kit and written INFINITY Warrantyif carried out by AUTHORISED Applicator.